What is self-love? Most of us have come across the term but are not necessarily familiar with what it actually means, and why wellbeing and personal growth gurus keep talking about it. Self-love, as defined by the Oxford dictionary, is the “regard for one’s own wellbeing and happiness“. In the world of psychology, the definitions vary depending on the angle. My favourite is the one of Carl Rogers from the 1970’s: feeling “a quiet sense of pleasure in being one’s own self”. Basically, it’s about being yourself and loving it. 2. Where did the concept of self-love originate? Self-love can be traced as far back as to Greek philosophy around 400 BC. In Nicomachean Ethics VIII, Aristotle discussed how he believed self-love is a prerequisite to loving others. In fact, he went as far as to say one must not merely love oneself, but love oneself most of all. He believes this was the path not only to an individual’s greatest good but the greatest good of mankind. Many philosophers and psychologists, such as Jean-Jacques Rousseau (1750’s), William James (1880’s) and Eric Fromm (1950’s) discussed and evolved the concept of self-love further. It was Fromm who started creating ties to self-esteem and self-worth, whilst Carl Rogers (1970’s) spoke of successful therapy leading to a healthy sense of self-love. Today, self-love is discussed in many shapes and forms in different fields. Some argue its promotion during the Hippie era of the 1960’s, the feminist movement of the 19th century and the more recent discussions around eliminating mental health stigmas, has helped self-love become a real topic of discussion in the modern world. 3. How can practicing self-love help me? Self-love will help you to create a more positive relationship with yourself. That means you will be more supportive and encouraging in your own head towards yourself. This will make you more resilient against challenges and keep you more motivated in working towards whatever you’re aiming for. You’ll be more positive about your skillset and abilities and hence go after things with more boldness and confidence. You will also be less likely to fall into negative patterns of self-talk, especially when faced with setbacks. You’re also less likely to beat yourself up if you make a mistake, and instead, see the big picture and use it as learning and growth opportunity. All of this, naturally, will help you to grow and experience more fulfilment. Best of all, you’re also much more likely to experience a sense of peace and contentment within you, which will also reflect outwards into your life making you less likely to experience stress or overwhelm. 4. Is there any science behind self-love? There are a lot of relevant concepts, especially in the field of positive psychology, which link to self-love. Perhaps the most predominant of these is the concept of self-esteem, which can be defined as how much a person “values, approves of, appreciates, prizes, or likes him or herself” (Adler & Stewart, 2004). Sedikides and Gregg (2008) take this further with self-enhancement, defined as taking a positive view of oneself, as a fundamental part of human nature. Then there are the more popular streams of concepts that touch on self-love, such as Brené Brown’s work on vulnerability and courage. 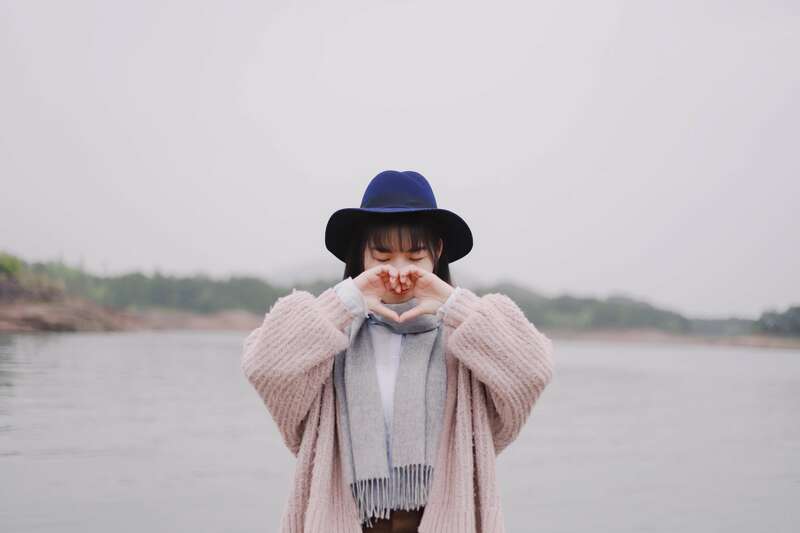 Overall, there is a common consensus that self-love both aids and is aided by self-esteem, authenticity, confidence, hope, growth mindset, and, in general, a more positive mindset. 5. Is self-love the same as self-care? Self-love goes far and beyond self-care as self-care is simply one form of self-love. Self-care is about taking care of yourself both physically and mentally. It comes in many shapes and forms, from doing yoga to getting a massage to going offline regularly. Basically, it’s any activity that somehow recharges you either physically and/or mentally. Self-love, on the other hand, goes deeper than that and is about wholeheartedly cultivating acceptance and gratitude towards yourself. They do go hand-in-hand though, as practising self-care helps you to experience more self-love. 6. Can self-love help my relationships? Absolutely. Self-love not only helps the relationship that you have with yourself but also the relationships you have with others. When you own up to self-love, you start treating yourself with respect and a better sense of self-worth. Others will notice this in you and hence start to mirror this and treat you better too. It can also help you to set some healthy boundaries in relationships, like speaking up when you’re being disrespected, saying no when you don’t want to do something, and asking to be treated with more kindness. When you love yourself fully, you’re less likely to accept relationships which are abusive and you find it easier to leave the ones that are. Because you love, respect and accept yourself fully, you know you don’t deserve to be in a relationship with someone who doesn’t, and hence you won’t. 7. What do you think is most misunderstood about self-love? Some people think self-love is some new age babble which only makes you more selfish, narcissistic or arrogant. This couldn’t be further from the truth as it’s actually lack of self-love that drives arrogance and narcissism in people. They are symptoms of a deep lack of self-confidence and acceptance of yourself i.e. a lack of self-love. Finally, self-love isn’t being selfish because the more you love yourself, the better you take care of yourself and hence the better you’ll feel. The better you feel, the more equipped you are to help others. 8. Why do you feel so passionate about helping people master self-love? Because I’ve taken a rollercoaster journey of self-love myself. I grew up quite confident as a teen but quickly faced self-love challenges when I entered adult life and serious relationships. At work, I used to undervalue myself, struggled with my sense of self-worth and found it hard to accept anything I did was good enough. As a result, I suffered a lot from stress and negative thinking, worrying myself sick about what people thought of me. In relationships, I kept myself in mentally abusive ones because I simply didn’t believe it could be any better, or, perhaps, because subconsciously I believed I didn’t deserve any better. I woke up to the truth of this when I was about to marry a man who was verbally abusive towards me. Somehow my intuition kicked in four months before the big day and gave me the guts to walk out the door. It was a like a switch had been switched on and I instantly knew I deserved better, both in how I treated myself and how the men I was with treated me. That was the beginning of my self-love journey five years ago. Because of what I went through, and how hard I consequently worked at practising more self-love, I knew I wanted to help others do the same. I don’t want anyone to feel less than worthy or be stuck in a relationship that isn’t full of love and acceptance. Also, I’m happy to report last year I married a man who drowns me in compliments and encouragement. I believe one of the reasons he is now my husband is because I showed him, through my self-love, the kind of love I deserve from him too. 9. What’s the number one thing I can start doing today to improve my self-love? Become more aware of how you talk to yourself. We all have a little bit of an inner critic within us and we need to make sure it doesn’t go on overdrive. The only way to do that is to become more aware of it. Then, once you know the kind of stuff you’re saying to yourself, you can start to change. If in doubt, a good question to ask yourself is, “Is this something I would say to my best friend?” If the answer is no, change what you’re saying to something more supportive and loving that you would say to your best friend. 10. What are the top three self-love actions you have mastered that has made the most difference to you? The first is doing more acts of self-care. I used to think taking baths was a waste of time, meditation was something I didn’t have time for, and saying no to people wasn’t an option. This left me on a never-ending cycle of busyness and on the verge of burnout. Now, I take aromatherapy baths because they recharge me. I meditate, especially to visualise, regularly to feel calm and connected with myself. Finally, I also say no to anything that isn’t a hell yes. That way, I’ve created more time and space in life for things that are a hell yes and recharge me in the best possible ways. The second is being kinder towards my body, both in how I treat it and how I talk to it or about it. Exercise is not punishment anymore, but something that gets the positive endorphins going. I only doing exercise I enjoy doing, such as riding my horse, country walks with the dog and yoga stretches at home. I’ve also given up obsessing about what I eat and instead eat what I crave in healthy doses. The funny thing is that when I stopped counting the calories I started to crave healthy foods. Finally, I also talk about my body more positively. I know it’s not perfect and there are parts of it I’d like to improve, but I’m grateful for the parts of it that I love and how strong it is in keeping me healthy. The third bit is getting better with compliments, both receiving them and giving them. When I met my husband a few years back I struggled to accept them from him. Over time, I’ve learned to accept them, cherish them and believe them. Something that has helped me to do that is to also give out more compliments, both to loved ones and strangers. If I see somebody on the train with a nice dress or coat, I will compliment them on it. If my best friend is glowing with positive energy, I tell her. If my husband has put on a nice suit, I compliment him too! Want to learn to up your self-love? 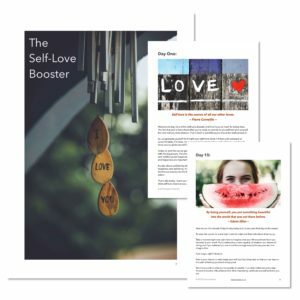 Join Susanna on her Self-Love Booster E-course which starts on 18 February 2019. Designed to help you move beyond accepting yourself and to start celebrating yourself, you’ll walk out of this brilliant 3 week e-course with a toolkit of tips and bite-size hacks you can embed into your day-to-day life.